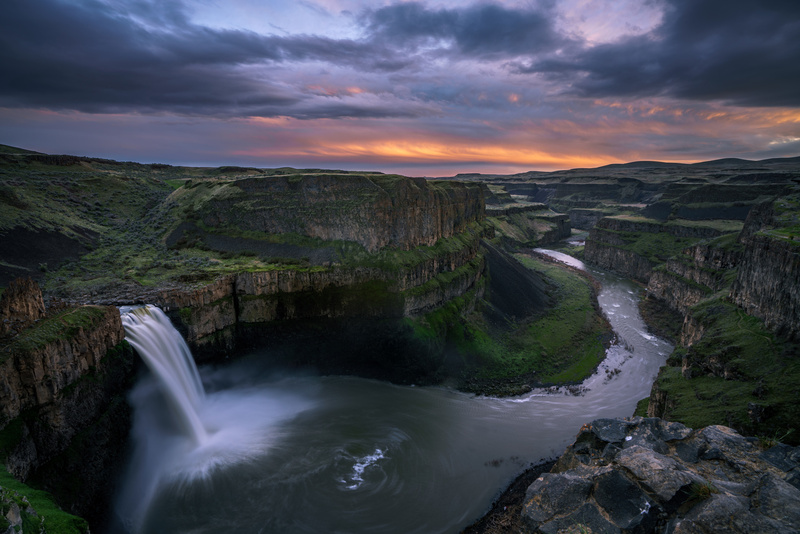 Wasn't planning to visit Palouse Falls when I took this, but I was in the area and could tell that the sky was going to be amazing, so I hurried over to get this shot. Didn't have an ND filter with me, so had to stop the ISO down to 50 in order to get a long enough exposure to blur the water. Pretty happy with how it came out. Amazing image! Really like the mood.